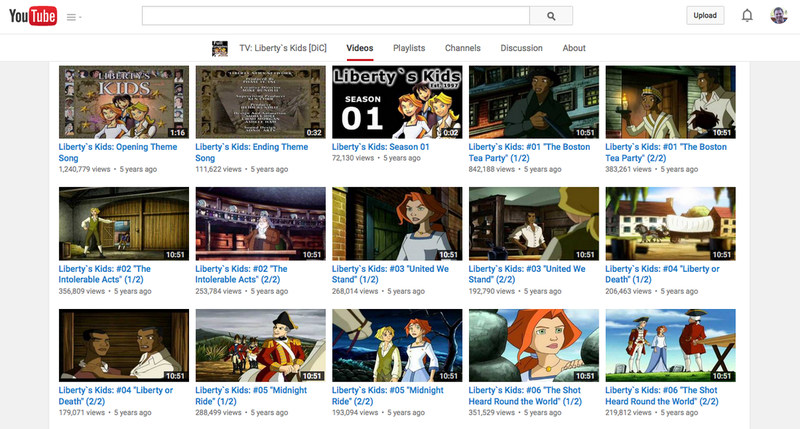 Liberty's Kids - Full Episodes!!! Feel free to watch as many of the videos at home as you'd like! They are very entertaining and will help you learn about the Revolutionary War time period. Click on the image to watch videos. Click on the image to go to the YouTube channel.